The Shannon: LIVE DJ & FREE T-SHIRT GIVEAWAYS THROUGHOUT THE EVENT! 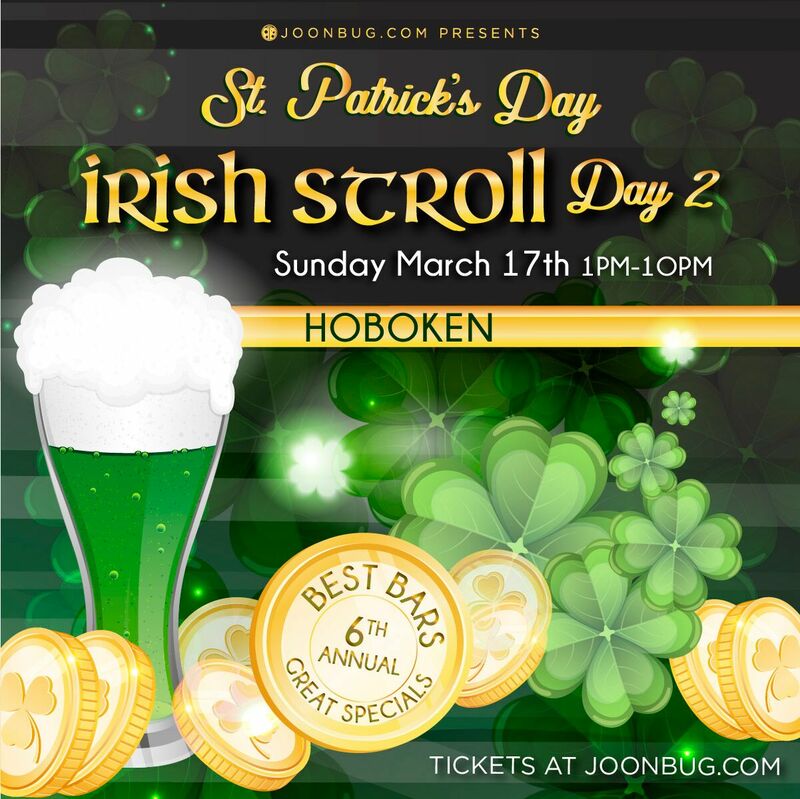 St. Patrick’s Day is here again, Hoboken, and that means it’s time to party on the Irish Stroll bar crawl. Our weekend full of events will end with this legendary bar crawl on the official day of St. Patty. Honor the Emerald Isle with all of your might on the bar hopping adventure that brings out New Jersey’s most devoted partiers every year. Every bar will feature exclusive drink specials and there will be no cover charges all day or night. Honor the clover the best way we know how, Hoboken – with a pint and a cheers this St. Patrick’s Day on the Irish Stroll! Grab your friends and meet at the registration destination from 1pm to 8pm to get your wristband and map that directs you to all of your favorite hotspots. If you’re traveling with a group, a discount for over four is available for a deal! Enjoy the whole weekend of events with a multi-day pass for non-stop partying. Drink Specials: $3 Bud Light Draft, $4 Domestic Bottle, $5 Import Bottles, $5 Green Tea Shots, $5 Fireball Shots, $5 Spiked Seltzer, $6 Jameson, $5 Well Drinks, $5 Green Jell-O Shots.